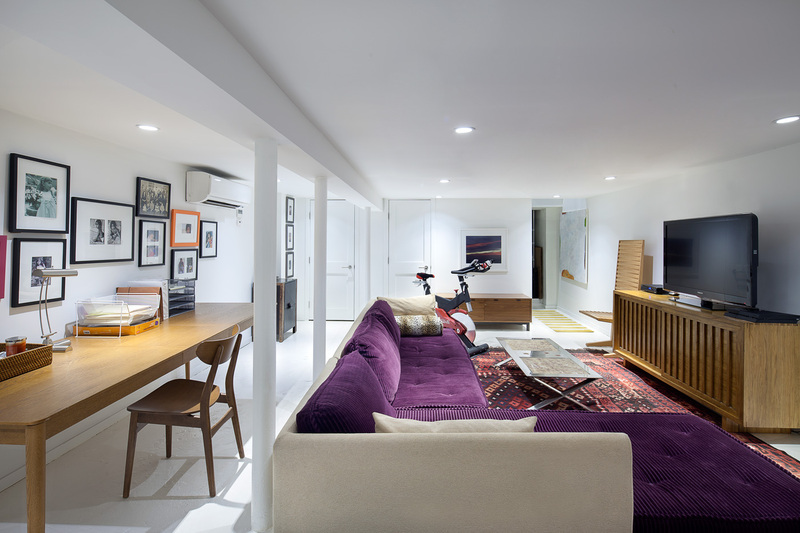 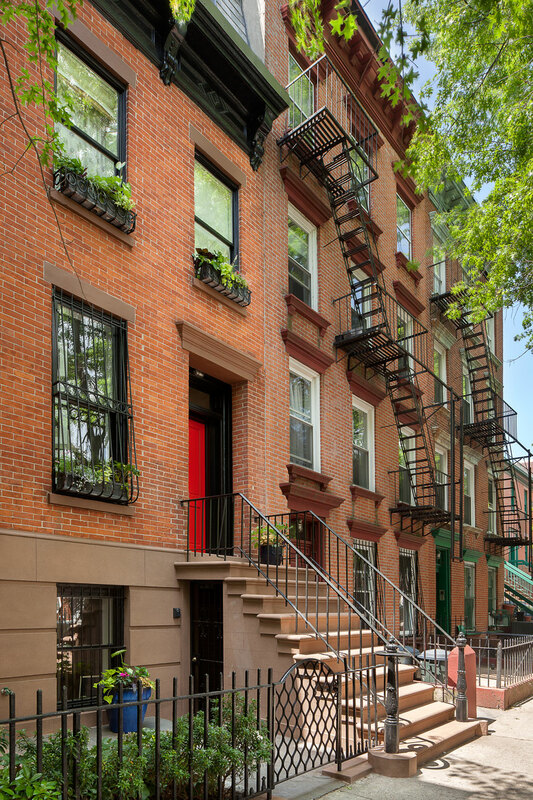 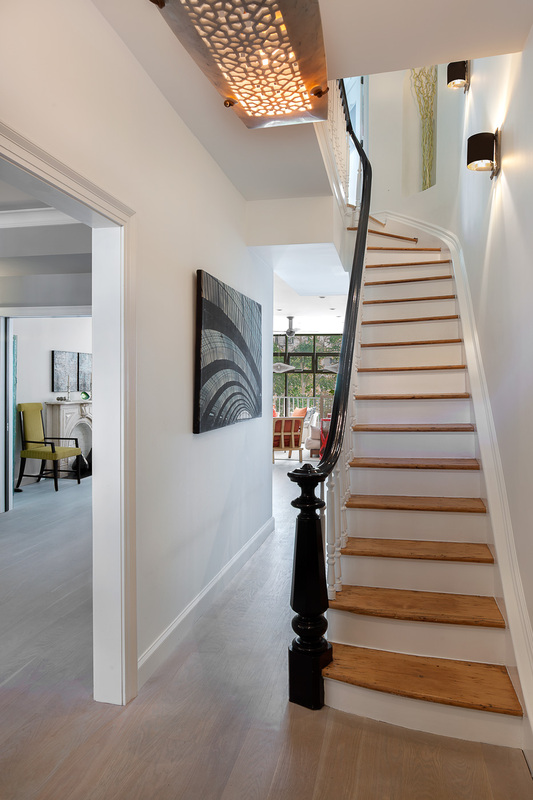 Previously a two-family building, this home was renovated to combine the parlor and garden levels with a custom stairway, a 20-foot double-height extension and south-facing curtain wall. 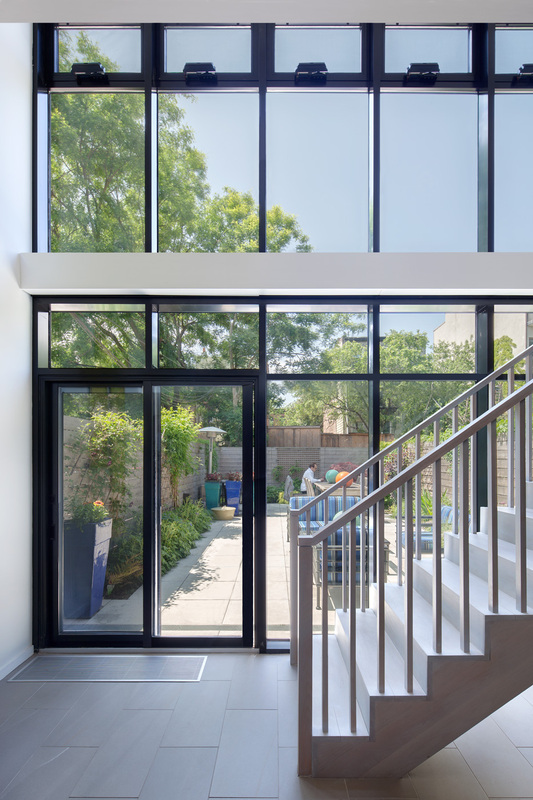 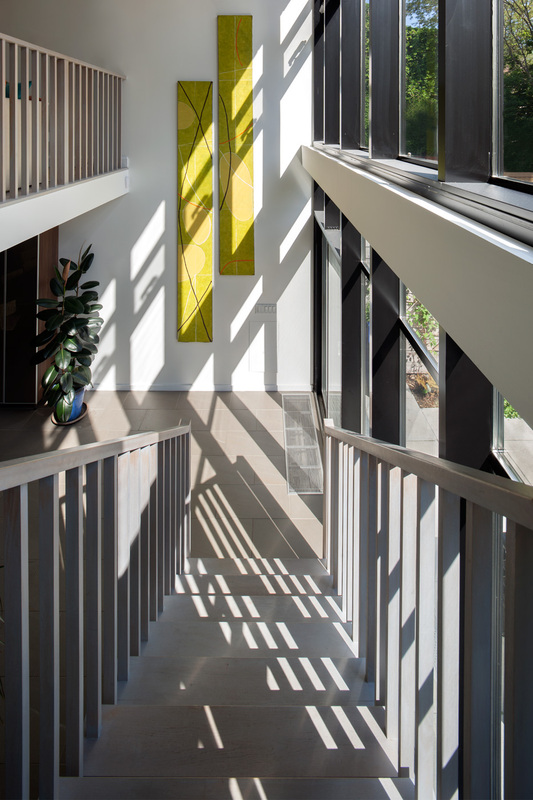 The kitchen and dining area are flooded with light at the new facade, which leads to the rear garden. 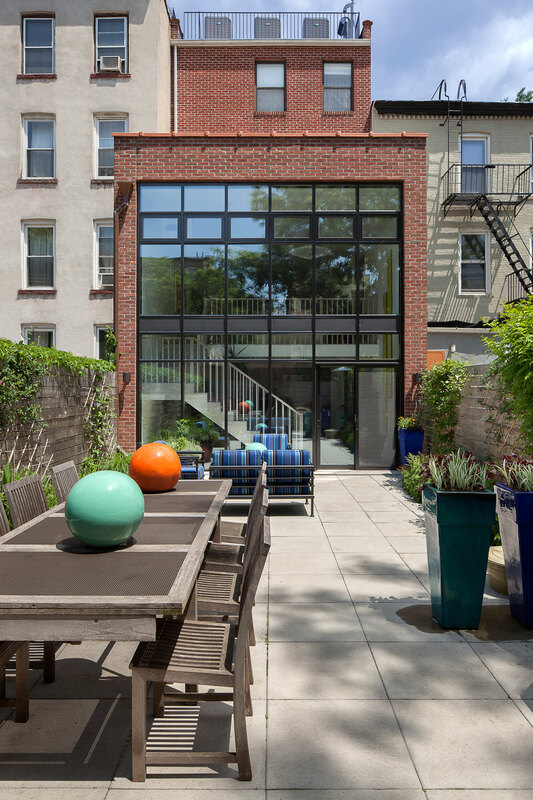 What was once a neglected rear yard is now a clean, yet lush garden. 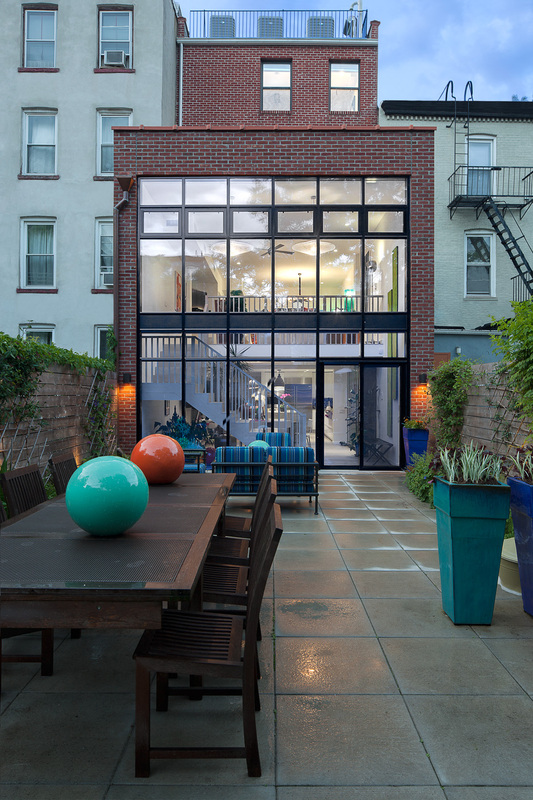 The space is a natural extension of the kitchen and dining area beyond curtain wall, making for true indoor / outdoor living. 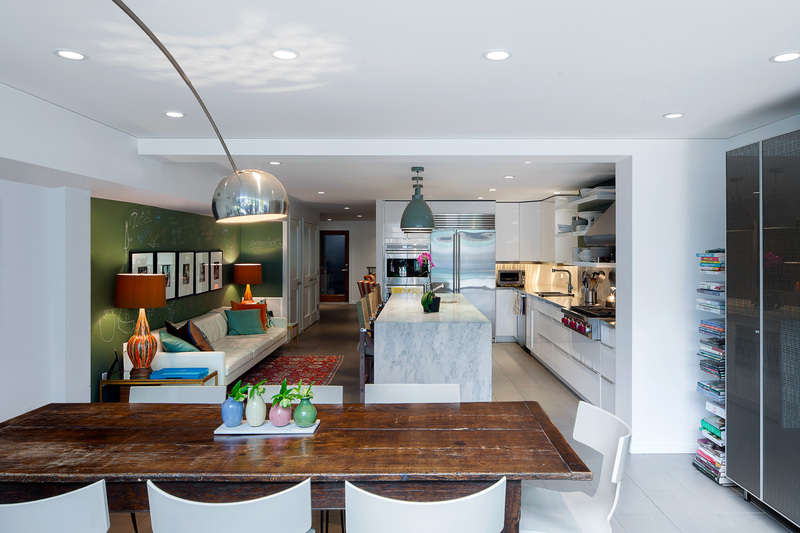 The original kitchen was relocated to the garden level to make way for an airy formal living and dining room, soaked in light from the south-facing curtain wall. 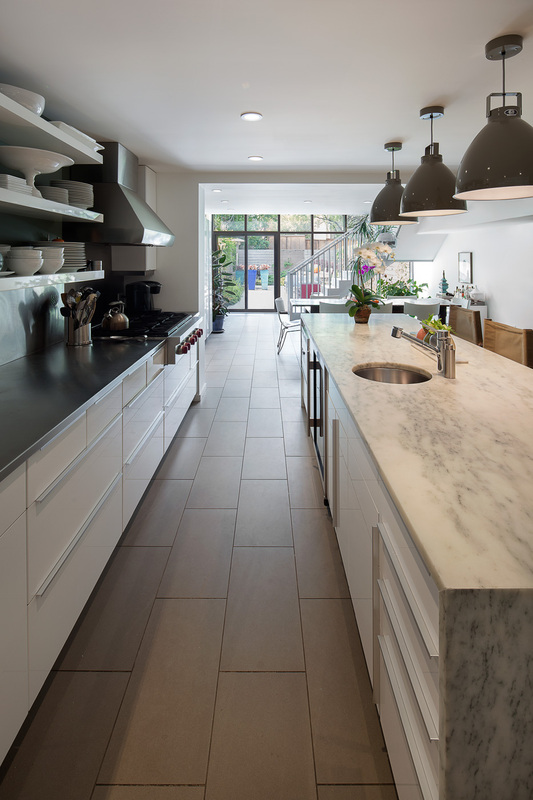 A large carrara island provides plenty of space to work, and contrasts with the stainless steel back counters. 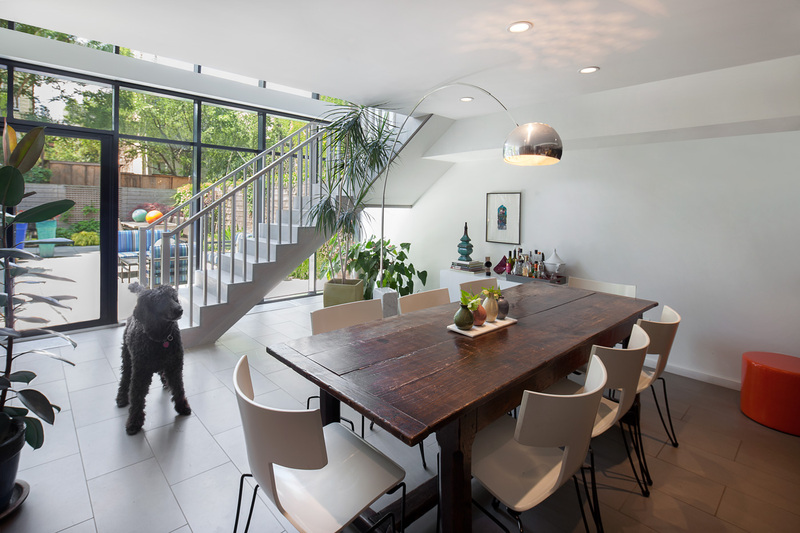 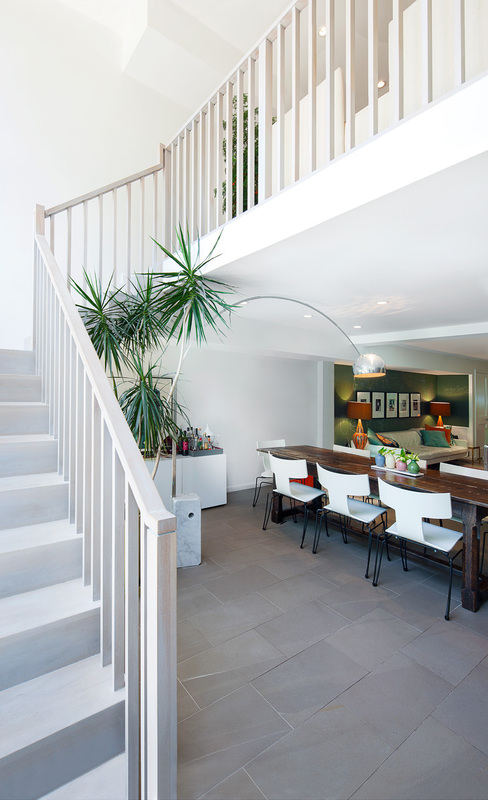 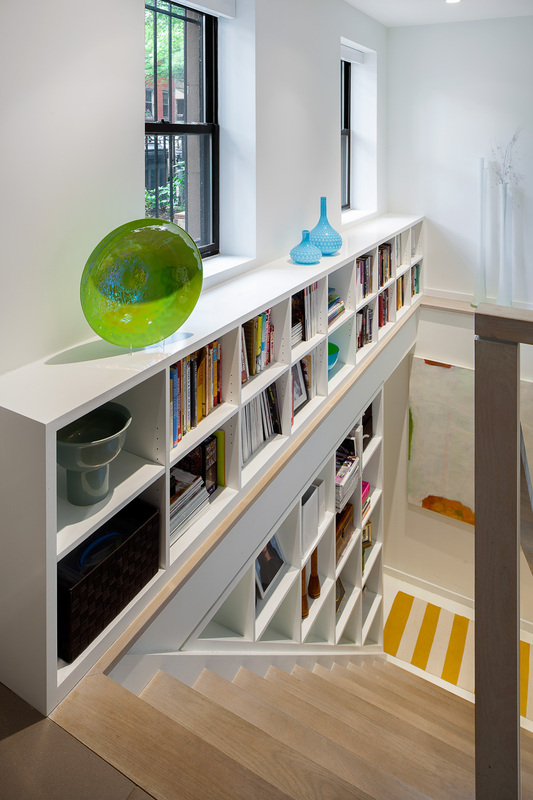 A custom stair and balustrade was created, which descends to the kitchen alongside the curtain wall. 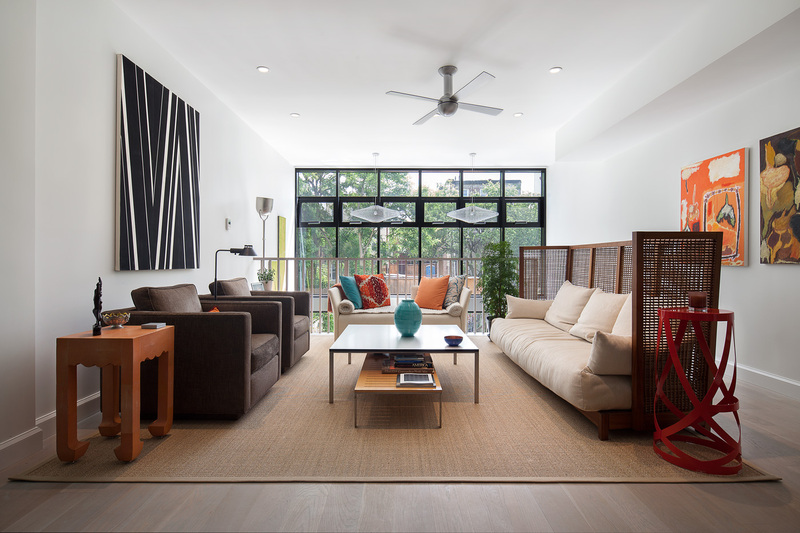 The parlor was refinished and features part of the owner’s diverse furniture collection, creating the perfect spot for formal entertaining.